China’s economic development was an economic miracle that only thirty years ago no one would have predicted. It has become the world’s second largest economy and the world’s factory. China’s Innovation Challenge is an erudite and comprehensive examination of whether China can grow beyond the world’s factory to become an innovative powerhouse with a large prosperous middle class. 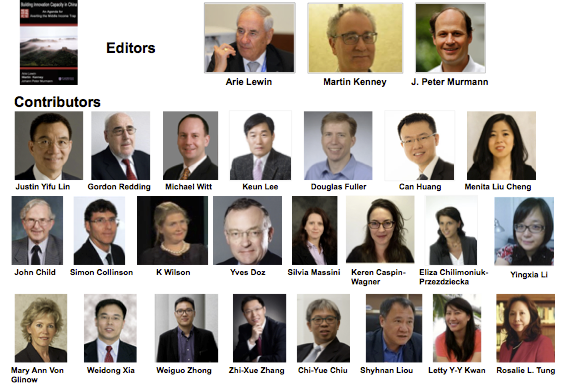 The editors organized the volume as a debate among the top Chinese and Western economists and management scholars about this question. When reading the book, I was fascinated by the depth of the insights and multi-faceted perspectives of the contributors. For those interested in the future of the Chinese economy and the potential for this new economic giant to become an innovation giant, I whole-heartedly recommend China’s Innovation Challenge. Richard Florida, Director of Cities at the Martin Prosperity Institute at the University of Toronto’s Rotman School of Management and Global Research Professor at New York University. Founder the Creative Class Group. The global economy in the 21st century will be driven, and changed, more by China than any other country. The challenges facing China- as it seeks to grow, innovate and prosper- are already enormous, and will no doubt intensify. 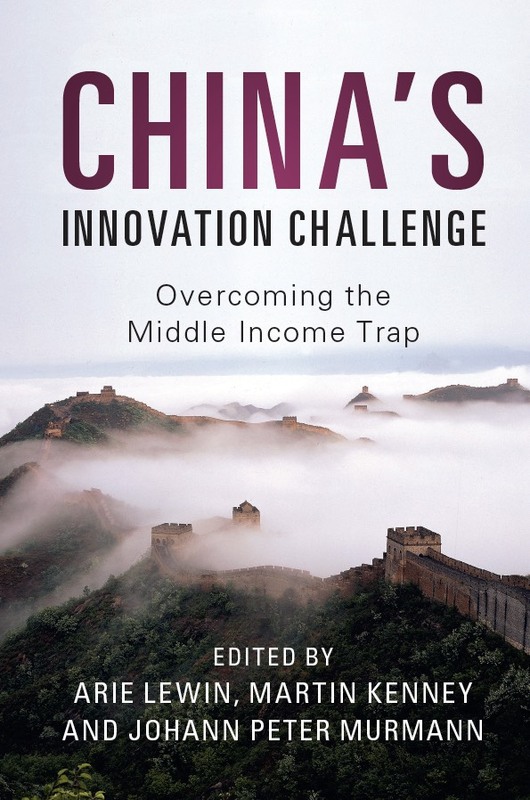 The editors of China’s Innovation Challenge: Overcoming the Middle-Income Trap have provided an extraordinarily perceptive look at these challenges. Anyone seriously interested in really understanding these challenges– and the likely results– would be well served by reading– and indeed studying – this important new compendium. David M. Rubenstein, Co-founder and co-chief executive of The Carlyle Group, Chair of the Duke University Board of Trustees, and of the Board of Advisors of the School of Economics & Management, Tsinghua University. I am delighted to highly recommend China’s Innovation Challenge which offers a critical examination of many aspects of Chinese society that have an impact on building its innovation capacity. It offers a penetrating analysis of the challenges China is facing and identifies a range of indigenous policy options that goes beyond those typically discussed in macro-economic policy circles. 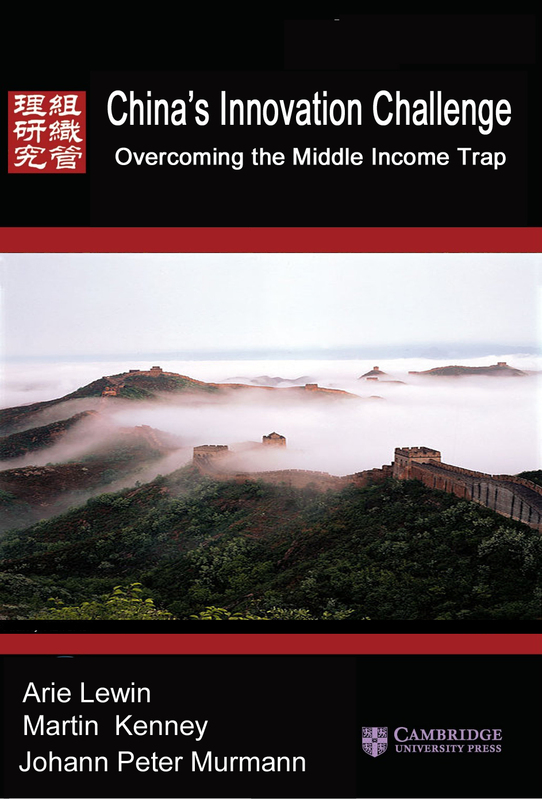 It is a must read for anyone who is interested in how China and other emerging economics can overcome the middle income trap and become high income economies following the path of innovation.